Visuals work. Screen Shots are highly focused visuals. The great thing about using screen shots in your blog posts is it helps in conveying what you’re trying to get across. Adding visual aids to your articles lets the readers know you’ve taken the extra step to enhance their reading experience. This matters. So, how to you use screen shots? To add a screen shot, simple click on the “Prt Sc Sys Rq” button. It will take a picture of whatever is on your screen. 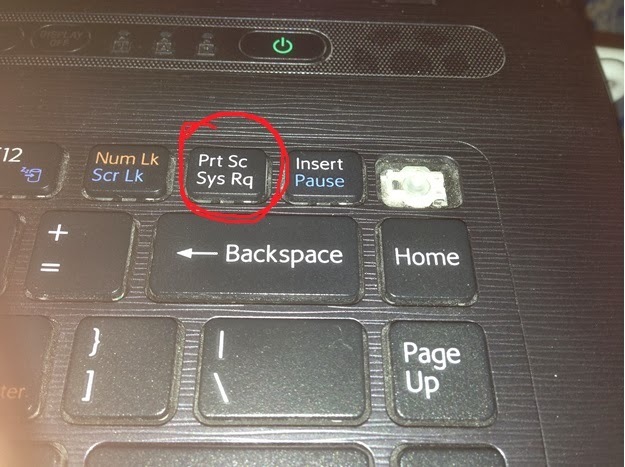 For the image above, I had a JPG of my laptop keyboard. I inserted it onto a blank page then clicked on the ‘print screen’ button. I clicked on the Paint Button and pasted (Ctrl V) the image into it. 3. Next I edited the image, by adding the red circle around the button, the cropped it to how I wanted it. I saved it as a it as a JPG to a file. 4. The last step, I inserted the image into this post. I'd love to know if this was helpful or if you already knew how to do this. It gives step-by-step instructions on creating book covers and images and gives plenty of examples. Hey, Widder, me too. And, I'm so glad the webinar was helpful!